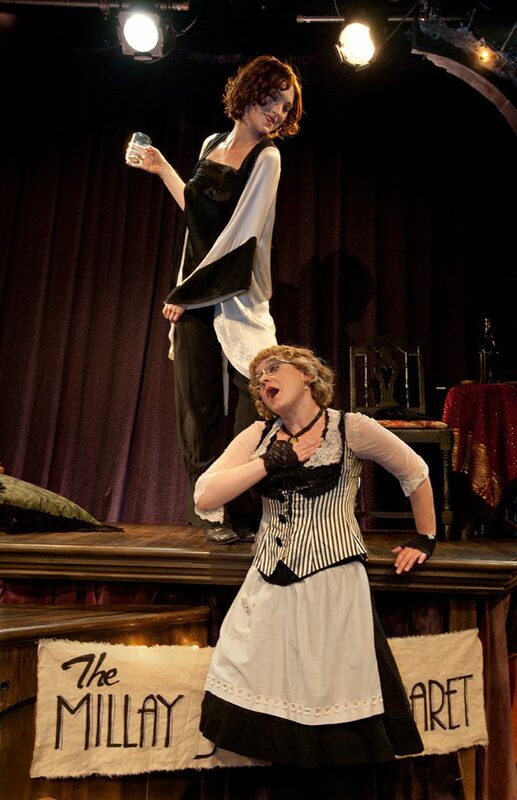 Come to an open rehearsal and be part of the creation process for “The Millay Sisters: A Cabaret” which will be at Opera House Arts in Stonington, Maine, July 5 through 15, 2013. All donations go to support VPR’s programming. Called “Vincent” all her life, Edna St. Vincent Millay was the mercurial goddess of a fast and fatal Greenwich Village scene in the 1920s. “She was one of those women,” said Edmund Wilson, “whose features are not perfect, but who, excited by the blood of the spirit, becomes almost supernaturally beautiful.” The Pulitzer Prize-winning poetess, portrayed by Margi Sharp Douglas, flouted the social, sexual, and artistic conventions of her time. Hailing from humble beginnings in Maine, Vincent was the eldest of three creative sisters. Norma, her charming “middle” sister, played by Rachel Murdy, frequented the New York stages of her day. The two Millay sisters recite Vincent’s poetry, sing in harmony their favorite songs from the period and reveal family secrets. Come meet the charming one, the famous one, and hear about the one they left behind. © 2019 Vertical Player Repertory. All Rights Reserved.